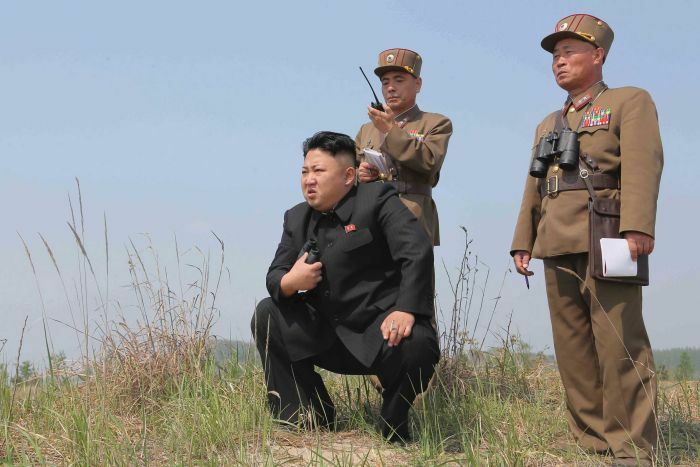 For more than 20 years, Kim Il-sung, his son and now his grandson, Kim Jong-un, have played nuclear cat and mouse with the United States and the world. 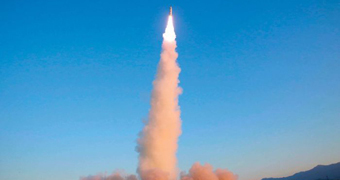 For every threat, negotiation and broken promise since, the science and military brains in North Korea have maintained momentum towards the ultimate goal — a fully-fledged nuclear arsenal that can destroy enemies from Seoul to Tokyo to Los Angeles. Or at least scare them into submission. What is different this time is US President Donald Trump’s administration has demonstrated a willingness to follow up a threat with an actual military response. The multiple missiles that fell on the Syrian airfield carried a message not just for Syrian President Bashar al-Assad’s regime, but anyone that might challenge or offend the Americans. And that would include an expected missile or nuclear test that may well be timed for this weekend’s anniversary of the birth of the founder of the extraordinary Kim dynasty, Kim Il-sung. The North Koreans are big on symbolism and extravagant rhetoric, and these tense times are no exception. When Pyongyang says it has achieved its goal of miniaturising nuclear weapons to fit intercontinental ballistic missiles, it’s probably not telling the truth. But the fact is, it may not be far off before it really does have the ability to lob a nuclear weapon across the Pacific to the United States. What’s next in North Korea? North Korea’s launch of four ballistic missiles towards Japan has unnerved the US, and it has decided enough is enough, writes Philip Williams. And Mr Trump has made it clear that is not on. And even North Korea’s reluctant ally, the Chinese, are getting increasingly frustrated with their belligerent and unpredictable neighbour. The last thing they want is conflict on their doorstep that could ratchet up tensions with another mercurial leader, Mr Trump. 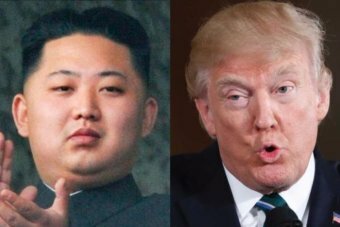 He has previously suggested he could sit down with Mr Kim and chew the fat on nuclear conflict over a burger. Simple. But it is now past the point of hamburger diplomacy. This is a conflict with an end in mind. No more nuclear threat — whether to the US or its regional allies. 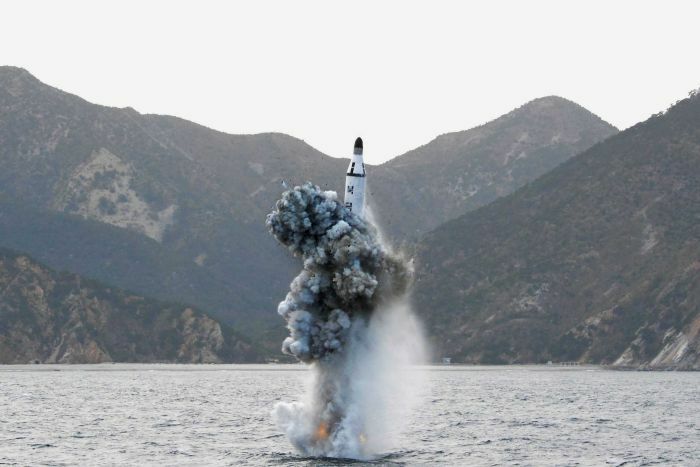 No more dishonoured deals that have failed to stop Pyongyang’s nuclear program. But aspiration and implementation are a Grand Canyon apart. Let’s say the North does provoke retaliation by the Americans. 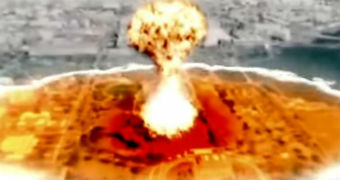 A former CIA officer says North Korea could have a 10-kiloton weapon capable of striking the US west coast and killing 100,000 people within four years. Mr Kim would be well advised not to take it any further. But that depends on a rational response — and the man who has allegedly killed his own family members, including his half-brother, is not known for cogent decision-making. What happens if he decides to attack the South? With Seoul just 70 kilometers from the so-called demilitarized zone, even with conventional weapons — the deaths and damage could be huge. And that would open up a full-scale war the North simply could not win. What would the Chinese do in this scenario? Beijing will not want the South taking over the North right on its border — but nor would the Chinese want to be drawn into a rerun of the carnage of the Korean War of the early 1950s. It is shocking we are seriously discussing this. But Mr Trump’s decision to hit the Syrian airfield has changed everything. Words might just mean action. Mr Kim should understand this, but there is face to be maintained both at home and abroad. Ultimately, it is about regime survival and the North Korean leader has shown a ruthless commitment to staying in power — even if it means killing those close to him. All of this may come to nothing. But the US Navy is in place, the North Koreans are talking fire and brimstone. There is little to no room for mistakes.